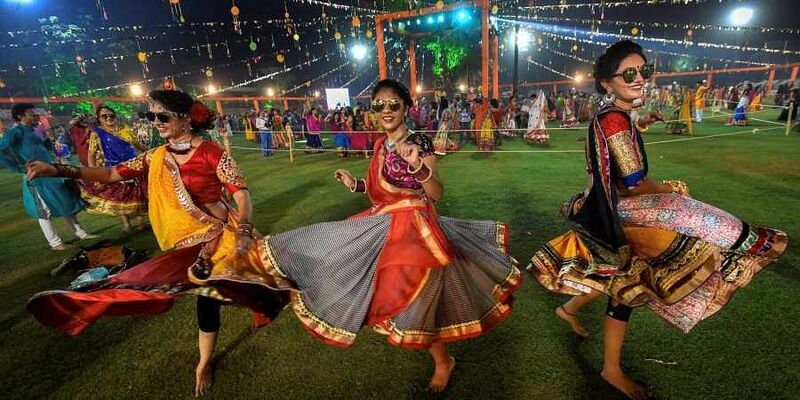 The poll body has made it clear that politicians are free to attend the Navratri related events, but only as a normal participant and not as a Chief Guest. BHOPAL: With the electoral model code of conduct already being in force, politicians participating in the nine-day Sharadiya Navratra celebrations will be under the Election Commission of India (ECI) scanner all across assembly poll-bound Madhya Pradesh. In accordance with ECI guidelines of 2015 pertaining to participation of politicians and candidates at religious ceremonies and events, the poll body has made it clear that politicians are free to attend the Navratri related events, but only as a normal participant and not as a Chief Guest. Also, the Commission has made it clear that using religious functions or religious places for garnering votes or promoting one's candidature or political party will amount to a violation of the model code of conduct and subsequently result in appropriate legal action against the concerned politician or party. The clarion message of the poll body to all political parties and politicians will be executed in total on ground and special surveillance teams and flying squad teams (FSTs) will keep an eye on all religious functions and events all around the state during the ongoing Navratra, which include the Garba events that attract huge crowds, including participation of politicians. "The politicians can attend the religious events only as ordinary citizens and not as chief guests on the stage of the event. Also, it will be ensured that none of the religious places are misused for electoral/political purposes. In case of violation of these guidelines, action would be taken against erring politicians under provisions of The Religious Institutions (Prevention of Misuse) Act 1988," said Madhya Pradesh Chief Electoral Officer (CEO) VL Kantha Rao. Also, if it's found that a candidate has funded or organized any religious event or program, the expenditure incurred on that event will be added to the poll related expenditure of the particular candidate. Importantly, any candidate can spend up to a maximum of Rs 28 lakh in electioneering. The MP CEO confirmed on Thursday that a poll code violation complaint has been received in which it has been alleged that Rameshwar Sharma, the sitting BJP MLA from Huzur seat of Bhopal district is organizing a Bhagwat Katha program in state capital's Bairagarh area. The EC is calling for a report from the Bhopal district collector in the matter.